Your estate consists of everything you own, such as your home, business, real estate, automobiles, checking and savings accounts, art, furniture, life insurance, IRAs and investments. What, exactly, will happen to your possessions when you die? What will happen to you if you become incapacitated or terminally ill? These important decisions should only be made while you are healthy and able to express your intent. 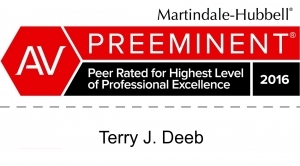 Deeb Elder Law excels at developing and executing balanced, versatile estate plans for our clients. Whatever the size of your estate, our attorneys will help you create the plan that is right for you. Estate plans also arrange for how your affairs will be handled when you die or if you become incapacitated. This includes health care and medical decisions, disability planning, and end-of- life treatment decisions made on your behalf, as well as care plans for minor children or special needs children, and other planning issues. There are two basic forms of estate plans: those based on a Last Will & Testament, and those designed around Trusts. Estate plans that are designed around Trusts will still include a Will. 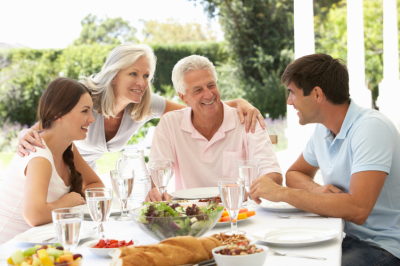 Estate Planning needs are as diverse as people are different. When establishing a new estate plan or revising an existing plan, our attorneys consider many details. The first two are the complexity of the estate and the decision of to whom the estate is to be distributed. For example, one individual’s estate may be a simple bank account and a few personal belongings to be distributed to a spouse and child. In this case a simple estate plan consisting of a Will and Advance Directives may be proper and sufficient. Another person may possess a closely held business, real estate holdings, numerous bank accounts, brokerage accounts and various automobiles—all to be left to extended family and various charities. This type of estate plan calls for a detailed strategy of trusts and techniques to deal with significant wealth transfer. At Deeb Elder Law, the first thing we do is listen to our client. What is their situation? What are their needs and goals? We explain the objectives of estate plans and the many things they can accomplish for our client. Together we forge the appropriate plan for their situation. We urge you to seek the professional advice of a qualified attorney when considering the development of an estate plan or the modification of an existing one. Deeb Elder Law offers a full spectrum of estate and wealth planning services. We’d be happy to help you put your estate plan together. Call us today at (727) 381-9800.